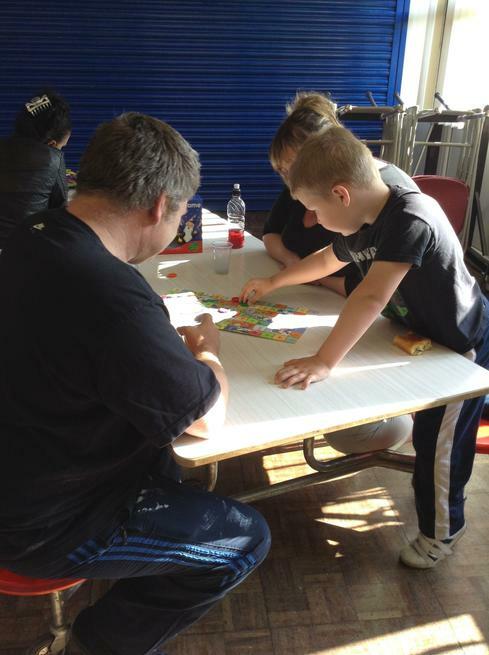 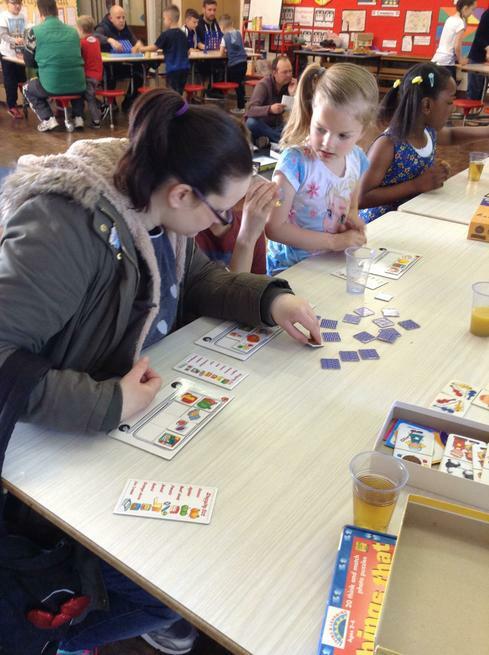 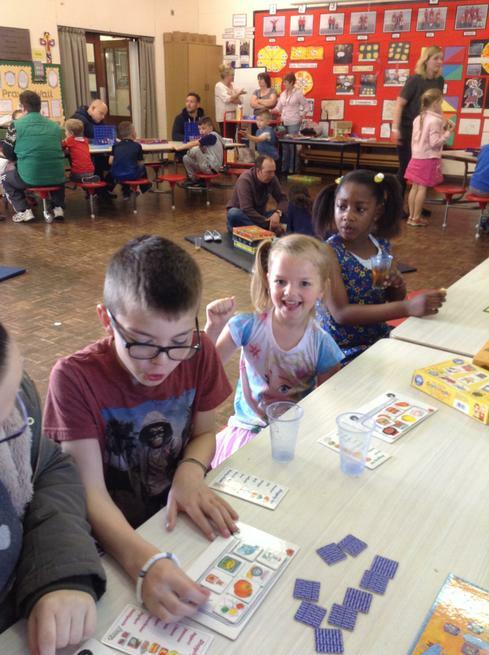 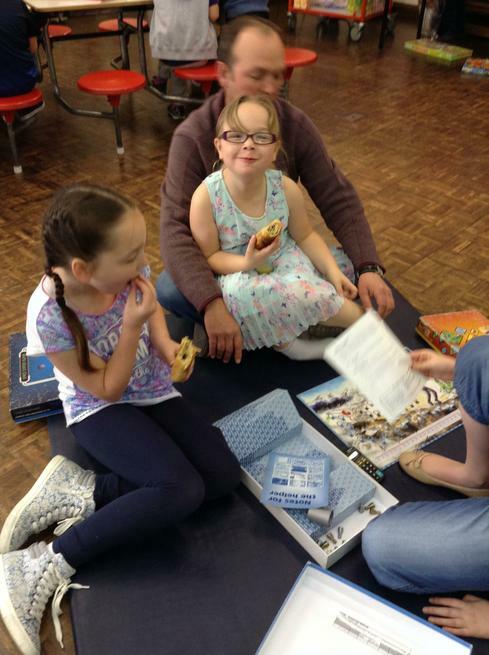 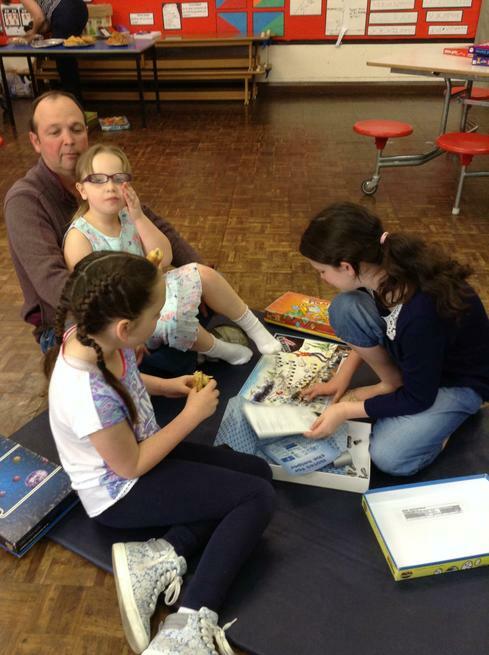 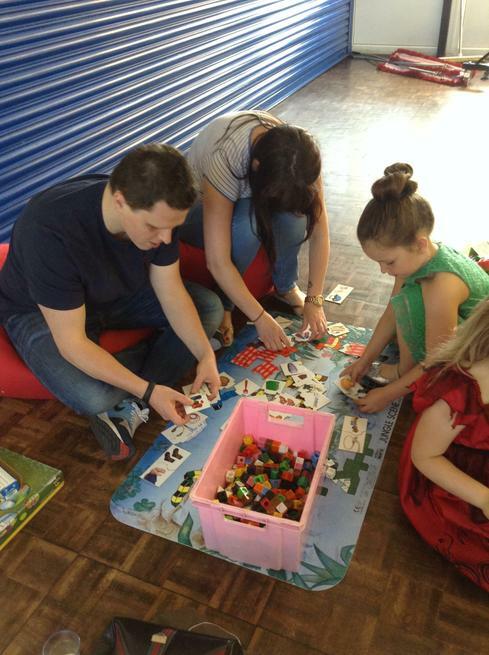 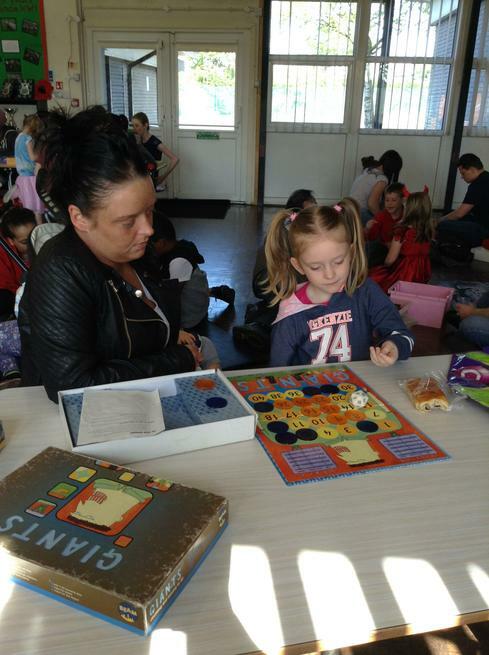 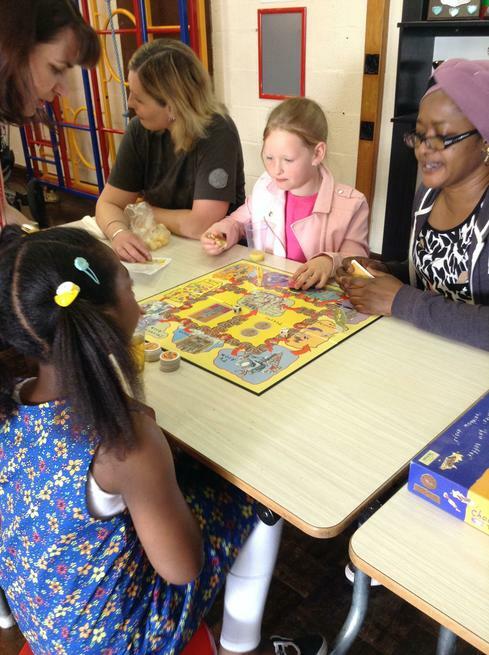 Today we held a special breakfast session for 'The Really Big Board Game' day. 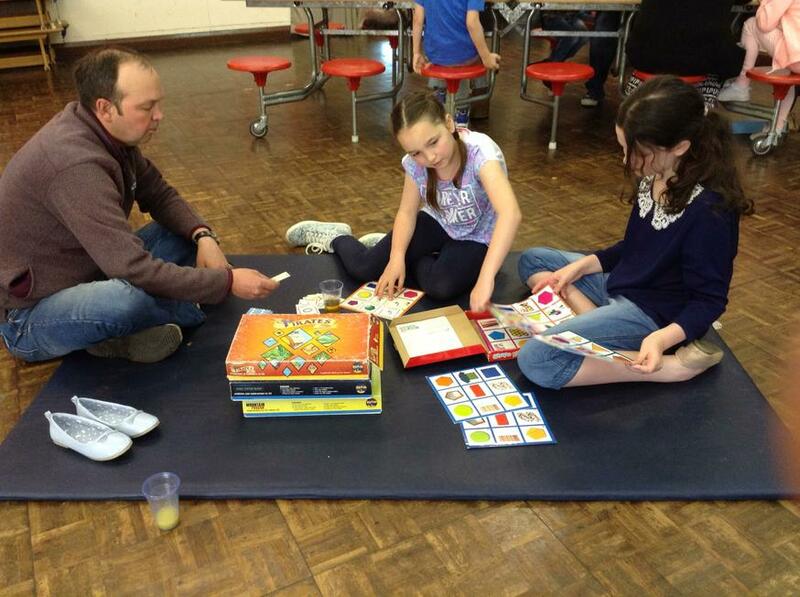 This was in aid of raising money for the NSPCC work they carry out helping vulnerable children through Play Therapy. 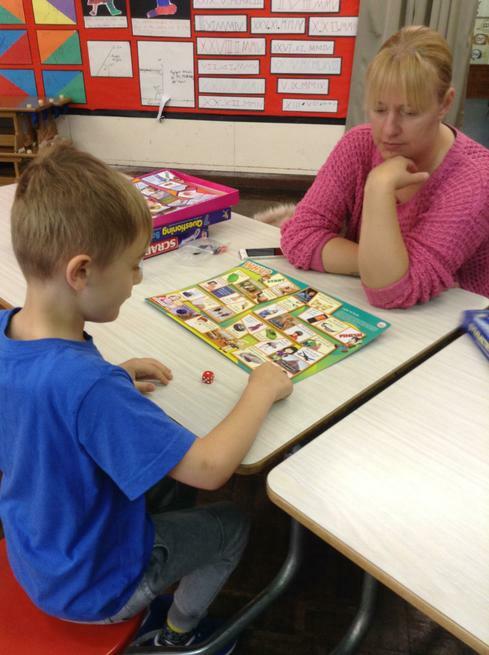 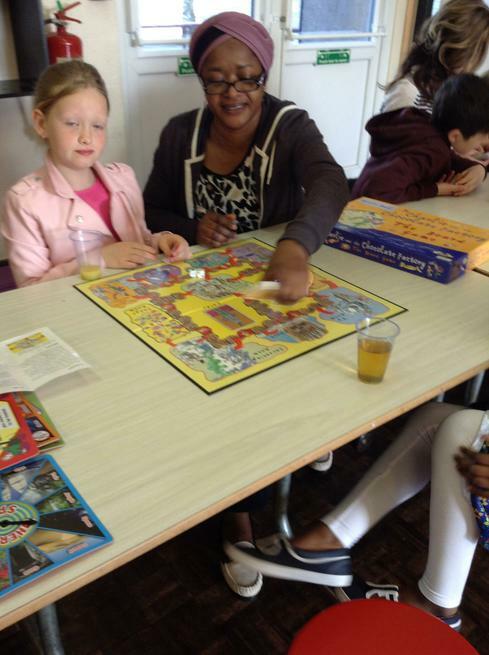 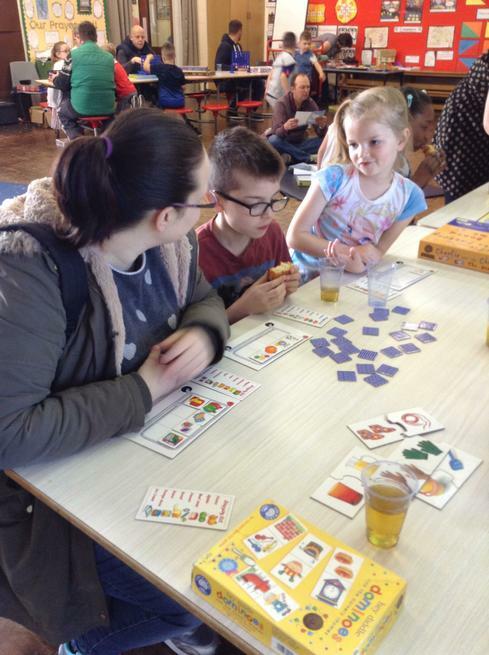 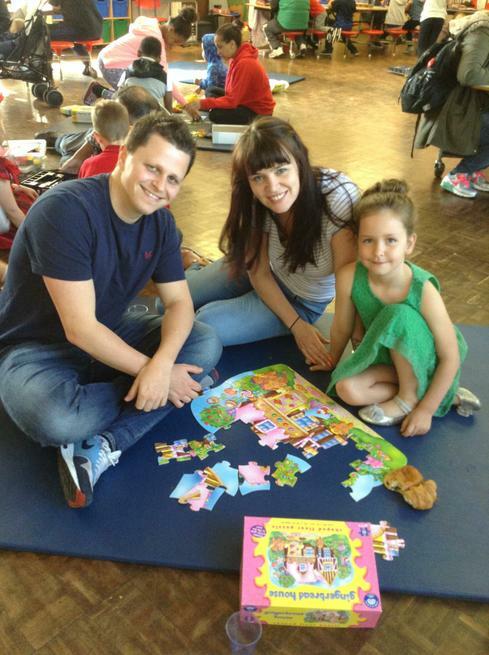 We had a great time with the board games! 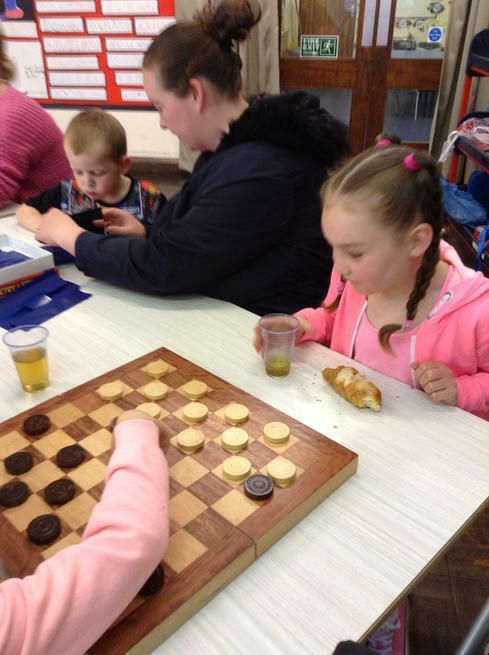 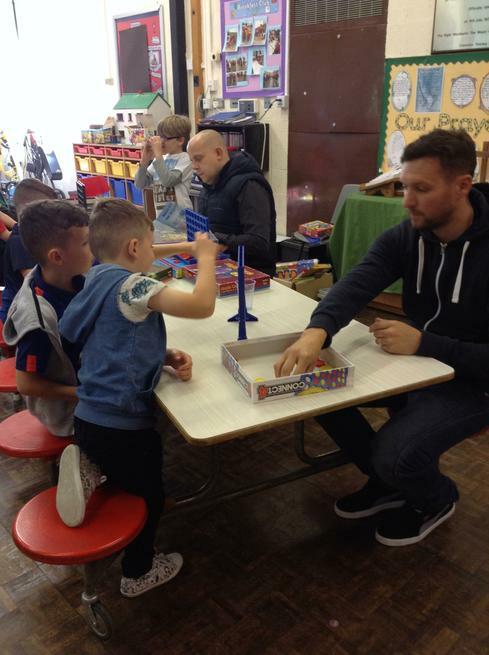 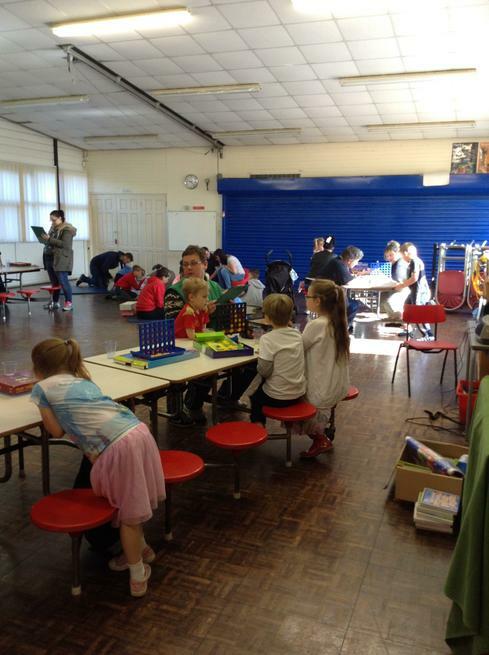 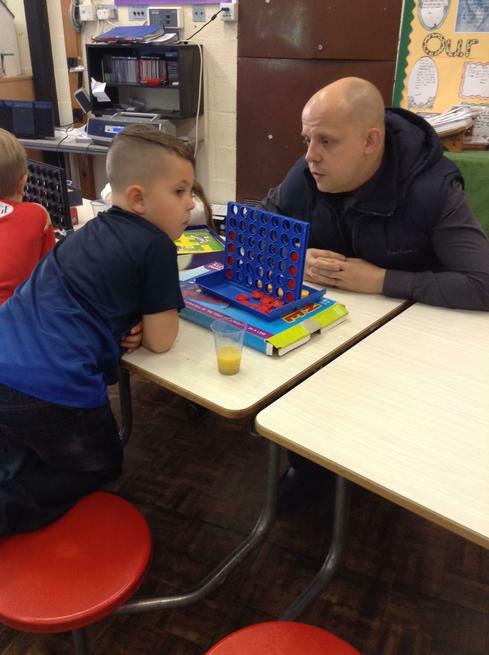 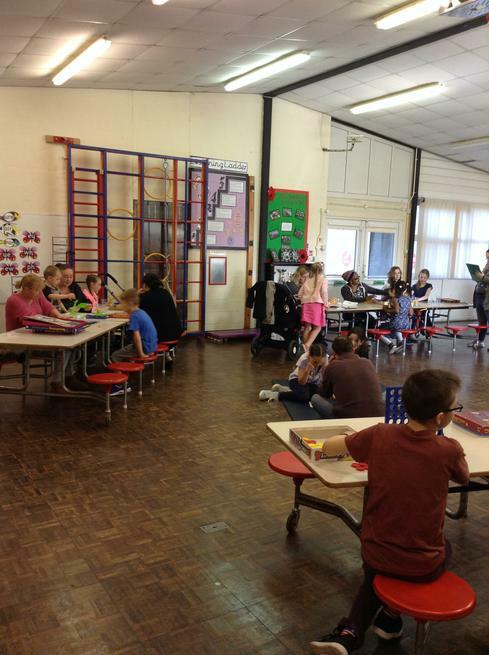 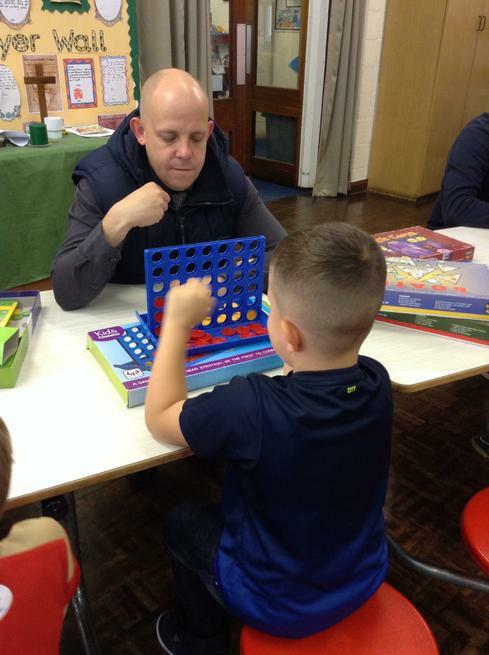 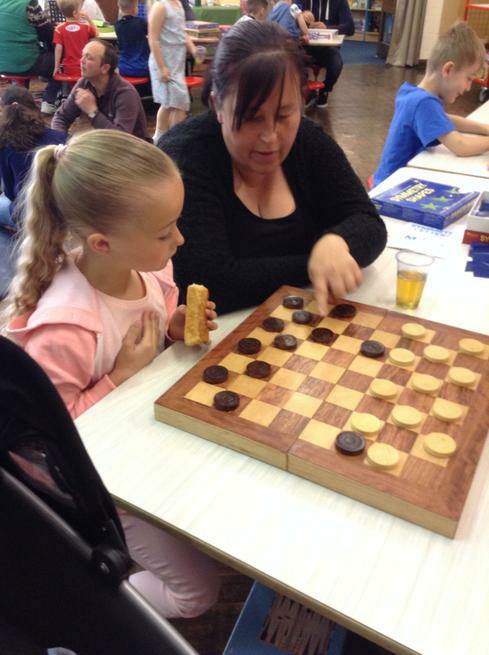 There were some old classics like draughts and Connect 4 along with lots of board games involving maths and literacy fun. 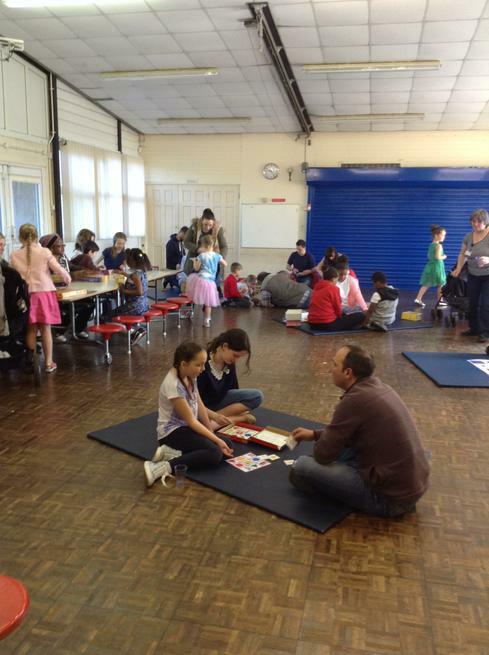 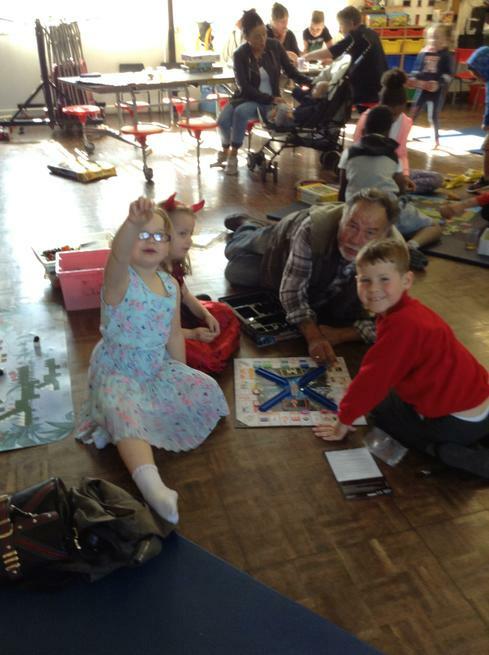 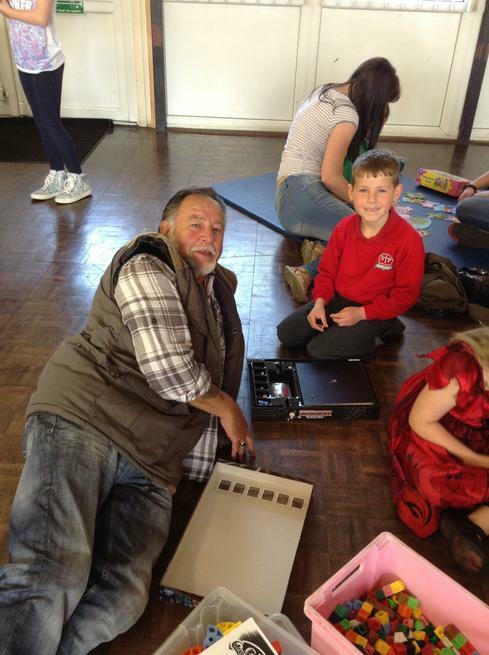 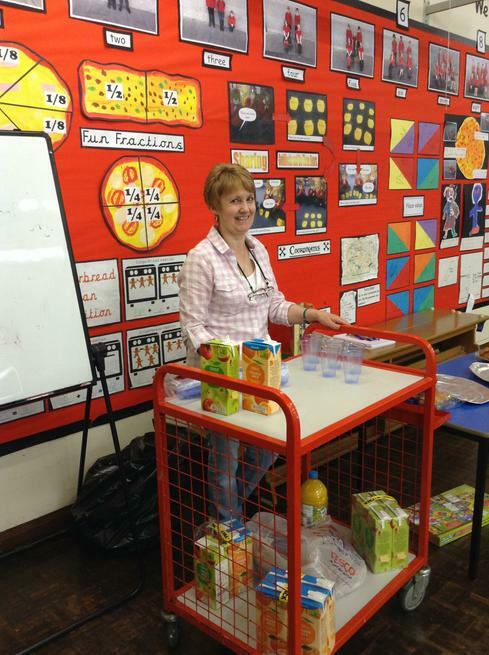 Above all the enjoyment of the interaction of parents, carers and grandparents with the children was awesome. 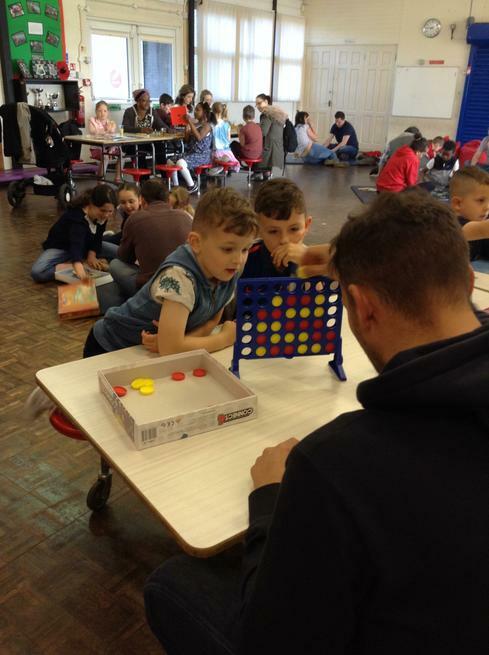 There was an element of competitiveness creeping in with some of the games which was also great to see as it meant they had to think carefully about their next moves to outwit their opponent. 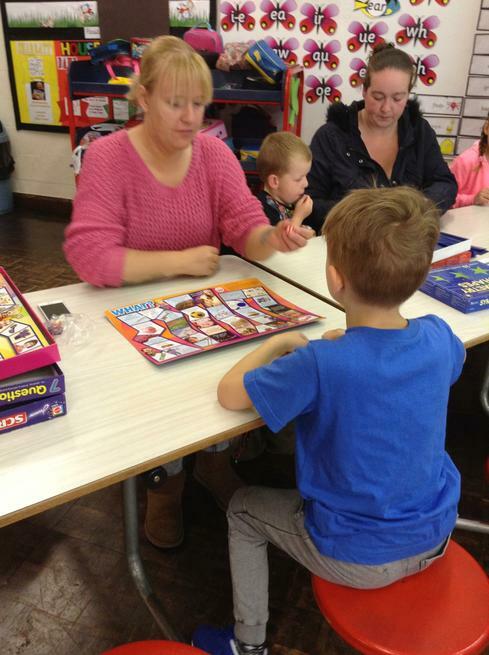 A massive thank you for all the adults who shared this breakfast session with us and for providing us with such positive comments. 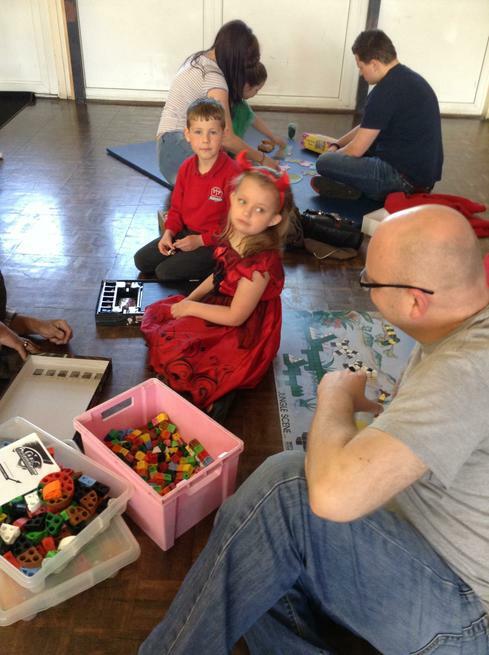 We will certainly plan in more sessions throughout the year.